Hobie was born and raised in Orange County California. He grew up racing motocross as well as go karts and moved into formula race cars. Soon after Hobie grew a passion for offroad racing as began driving and co-driving in a variety of classes including 1600, 5-1600, class ten and trophy truck. 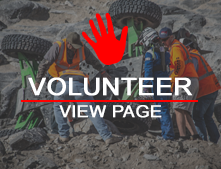 With multiples podium finishes in races such as the Laughlin Desert Challenge, Vegas to Reno, and the Baja 500 he set his sights on the 2015 KOH race.